The muscles of the back are undoubtedly the most interesting sets of muscles in he body, owing both to their remarkable formation and to their great number. Even though everyone's muscles have the same origin and insertion, still the formation of back developments differ greatly. The majority of backs not only have a stoop-shouldered effect, but they are practically flat in appearance, owing to the lack of proper muscular development. A well-muscled back should have quite a cavity running from the base of the neck downward towards the hips, and this cavity is harmoniously situated between well-rounded muscles. It is almost impossible to neglect the shoulders and back if you perform arm work, and if the proper exercises are indulged in, the back and shoulders are worked in coordination with the arms. This is the way a person should exercise the muscles--in groups. With proper attention paid to the back muscles, the student need have little fear of ever becoming stoop-shouldered, although if the back is over-developed, there will be a tendency to round shoulders. This can be eliminated by devoting a little time after each drill to straightening up exercises, such as clasping the hands behind the hips with warms stiff, and forcing the shoulders back as far as possible, until the shoulder blades touch. This should be performed after each drill, and repeated quite a number of times, as it will shorten the back muscles and lengthen the pectorals of the chest, which draw the shoulders forward. The most prominent muscle of the back is the latissimus dorsi. This muscle covers almost the entire sides and the back, from the waist to the armpits, and inserts itself along the spinous processes of the fifth and sixth thoracic and the lumbar vertebrae. This muscle can be developed to enormous proportions. The greater it is developed the more slant the individual possesses from the arm pits to the waist, and the broader his back becomes, not to speak of the pleasing appearance it presents in the form of beautiful, rolling muscles. The latissimus dorsi muscle is developed by the constant pulling of the arms from an overhead position downward, whether this is accomplished in a forward movement or a side movement. Chinning the bar is another great exercise for this muscle. Any movement is helpful that tends to bring the arms downward, whether lifting a heavy weight from the floor while stooping forward and coming to an erect position, or whether the arms are worked against a strong resistance from an overhead start. The action is practically the same in either case. The latissimus dorsi muscle is usually of great prominence in professional athletes, for no one is satisfied with his appearance until he has attained somewhere near the maximum proportions in this muscle. Until this muscle has been highly developed, the pupil must not expect to be as powerful or as symmetrically developed as he will become after devoting consistent attention to his back. I have seen almost unbelievable proportions in this muscle on some prominent strong men. When the muscle has been developed to its maximum equally on each side, it can be tensed so as to make the back broader in appearance than the entire width of the shoulders. The trapezius muscle, covering the upper back on each side of the neck and giving the slant from the neck to the shoulders, is another important muscle that requires considerable attention. 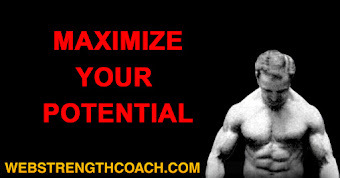 When highly developed it greatly improves the athlete's appearance. This muscle is used in shrugging the shoulders. It also assists in raising the shoulders and arms upward, after they pass a horizontal position. It is one of the first muscles of a weak individual which tires as a result of carrying a heavy suitcase. The constant lifting of heavy objects from the floor in standing erect with the arms at the sides will develop this muscle. When properly developed and when the muscles of the back are tensed for display, these muscles have the appearance of a W in the center of the back. These muscles are also developed by the constant contraction of the shoulders when the pupil endeavors to swing the arms backwards, working against a resistance, such as a heavy tensioned chest expander. If these two major muscles of the back work in coordination, not only an interesting muscular display can be accomplished, but the owner will be able to perform feats of strength that will be impossible for the average properly trained athlete. The center of the nervous system which contains most of your energy, lies in the small of the back. Therefore, if you are constantly bending and stooping forward, backward and sideways, preferably against a strong resistance of some kind, you will acquire a powerful back that will stimulate the nervous system, as well as eliminate all backaches and tired felling that usually manifest themselves in this region. The first signs of weakness and run-down condition usually appear in the small of the back. This causes pain or stiffness in that portion of the body. However, a well-trained athlete need have little fear of these common ailments. For, if the student who is past middle age and is beginning to slip backwards, will devote a little attention to this part of his body, not only will he find his health improving, but also his vitality will be ever on the increase, instead of on the down-hill grade. Although it is difficult to exercise the arms and shoulders without giving the back plenty of work at the same time, still the exercise that the back receives when the movements are applied directly to the arms or shoulders, does not influence the back muscles as directly as if the pupil concentrated only upon the muscle or groups of muscles he desires to develop. Therefore, in order to produce the best results and the most rapid progress for the muscles of the back, concentration and direct application must be placed on this part. As the latissimus dorsi is the largest muscle of the back, naturally the student will notice the progress of this muscle sooner than other muscles of the back. Although swimming is about the best exercise calling into play the latissimus dorsi muscle, still the lightness of the movements will not produce as quick results for this muscle as heavier exercise. Chinning the bar is a much heavier exercise for this muscle than is swimming. Consequently the student will progress more rapidly and obtain more of a slant from his armpits to his waist through the practice of chinning than he will from swimming. Rope climbing is of special benefit to this latissimus dorsi muscle, as also is the lifting of a heavy weight from the floor. This latter should be done while stooping forward and keeping the knees stiff, and raising the weight to the height of the waistline and lowering it again. And, again, the arms may be brought downward and backward from a forward position, or brought downward from a side position, as both movements hit this muscle directly. The greater the resistance in this movement, the quicker the results. Most athletes are quite conscious of this latissimus dorsi muscle and as a result they usually keep it contracted when they are appearing before the public. Although contraction of this muscle show its size to advantage, nevertheless, the muscle is more pleasing to the eye when relaxed, for it is in this condition that the harmonious curves express themselves. I have found from experience and observation that the latissimus dorsi muscle is about the easiest muscle to develop, excepting perhaps, the neck muscles. Therefore, if the student will devote systematic exercise to the betterment of this splendid muscle of the back, he will very soon appreciate more fully the values of scientifically applied physical culture. With this muscle developed to the maximum degree, the differences in chest measurement from contracted to expanded chest will startle the average person. Although this is not true of lung expansion, nevertheless the contraction of the muscles constitutes a standard in chest expanded measurements. I have seen professional strong men whose expansion with the aid of the latissimus dorsi muscle and other muscles made a difference of over 20 inches from the contracted chest measurement. As a matter of curiosity, I measured my own chest, while writing this chapter, and found a difference of 14 1/2 inches from the contracted measurement to the complete inhalation combined with muscular expansion. Exercise 1. Pick up weight from the floor in front of you by stooping over without bending the knees. Raise the weight to the height of the waistline and lower. Exercise 2. 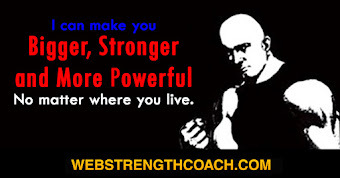 Chin the bar, first with the hands close together and later with the hands wide apart. Keep palms of hands facing you. Do the same exercise with the palms of the hands turned away from you. Exercise 3. Stand sideways to the wall and hold the exerciser at arm's length. Bring the exerciser downward to the side while keeping arms stiff. 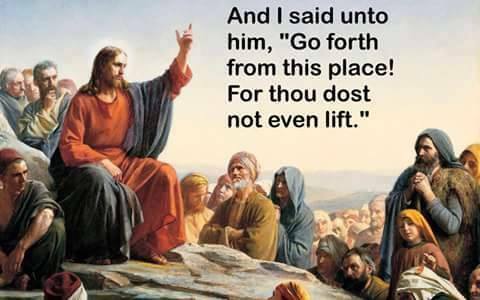 Do the same with the other arm. It is very difficult to find exercises that will tire the latissimus dorsi muscle within ten repetitions, for if the resistance is too strong, there is a tendency for the arms or shoulders to tire first. I have found that the best results are obtained by having sufficient resistance to tire this muscle in about fifteen counts. If you are able to perform more than twenty repetitions sin exercising this muscle, the work is too light for you and you must work against a stronger resistance, or use heavier weights, as with the deltoid and other muscles. If this muscle is over-developed, it will have a tendency to make the individual appear somewhat round-shouldered when viewed from the front or from the side, owing to the huge formation of the upper part, bulging on the upper back between the neck and the shoulders. 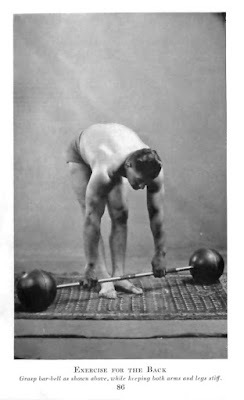 The student should take great care in practicing straightening-up exercises after each period spent in training this muscle, to shorten it, and get it in the habit of assuming an erect carriage. I am a great believer in exercising the muscles in groups as much as possible, especially those of the back, for if the pupil endeavors to exercise each muscle individually, he will soon tire from lack of vitality. You have only a certain amount of energy to expend at each drill; therefore, you should exercise systematically, so as to tire as many muscles with each movement as possible, thereby conserving your energy and saving time. There is hardly any need for the pupil to devote special exercise to the small of the back, providing he performs the exercise of picking up weights from the floor to the height of the waist. This movement gives direct play upon the latissimus dorsi and at the same time hits the muscles of the small of the back directly. Therefore, in this movement, you are tiring both the latissimus dorsi muscles and the various muscles in the lumbar region. You also put great stress upon the trapezius muscle. A similar example can be illustrated when applying exercise to this trapezius muscle. By moving the arms sideways or upwards, or from forward to backwards while the arms are parallel with the floor, and while working against a heavy resistance, the deltoid and trapezius muscles can be worked in unison, and thereby tired together. I do not believe in the concentration of your work on individual muscles, unless the student is particularly desirous of developing a certain muscle at the expense of others. If, for example, the student is lacking in latissimus dorisi development and has good trapezius muscles, and good deltoids, then, in that case, it will be advisable for him to exercise the latissimus dorsi muscles individually, until they are developed in proportion with the surrounding muscles. Many years ago I made the acquaintance of one of America's most highly developed athletes, by the name of Adolph Nordquest. 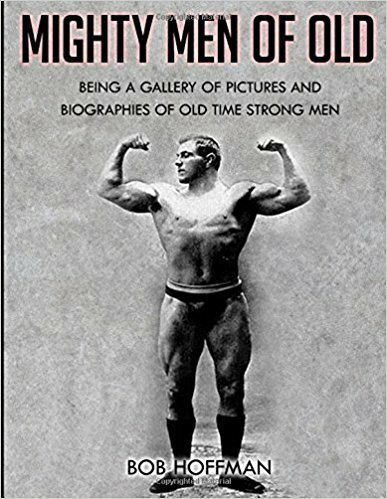 I had seen this remarkable man perform on numerous occasions, and had always admired his amazing muscles and remarkable strength. I used to study him for hours, both in admiration and criticism, and I do not think I ever found a flaw in his make-up. I asked him once to tell what stimulated him to obtain his goal. Did anyone influence him, or what was his ideal in development. 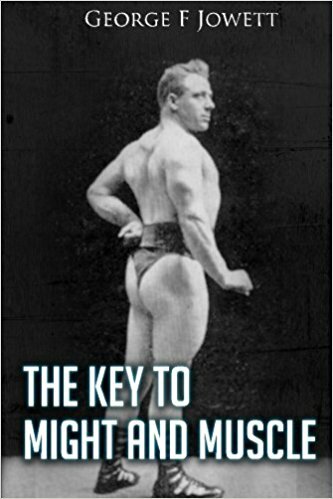 He very quickly told me that Eugene Sandow always was his ideal, and he tried to resemble him in every way possible. 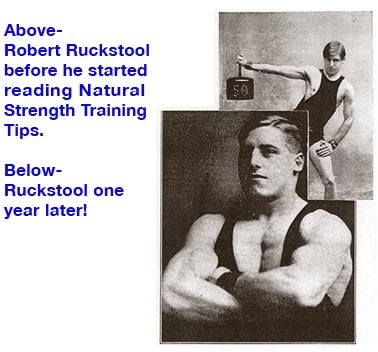 He even adopted at one time the professional nom de plume of "Young Sandow," and I must say his physique greatly resembled the original Eugene Sandow's physique. When in my youth, I , too, had ideals which I followed. Although I did not develop myself along the same lines as these men, nevertheless, I have succeeded far better than might have been expected. 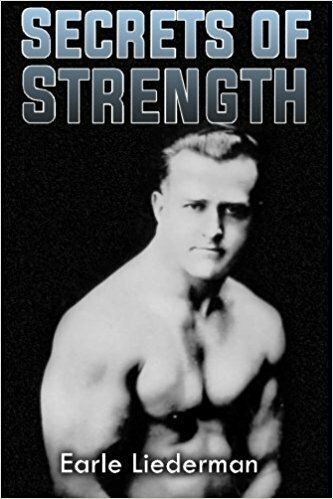 So, whether the student adopts an ideal from the person or from the photograph of any certain athlete or strong man, and even though he does not develop himself to this perfection and resemblance, he may obtain strength and muscles that will greatly exceed his expectations. 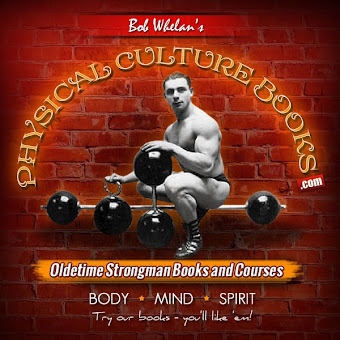 One of the most common tendencies on the part of the student of physical culture is to devote more attention to the front part of the body than to the back. This is perfectly natural, owing to the fact that a person cannot se his back, but is constantly looking at his front view in the mirror, and sees his defects and improvements in the front only. 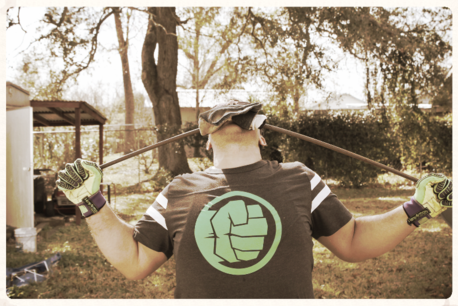 Systematically applied exercises must be done for the parts hidden from your face as well. If you turn your back to the mirror and look through a small hand mirror placed in front of you, you will be able to get a better conception of the formation of the back muscles. If you stand under a good light it will enable you to study your body. I advise daily mirror gazing for this purpose. You need not make this period one of admiration, but simply study the formation and the movements of your muscles, and look wholly for defects - nothing else. Let the admiration come from others. While I am on this subject, I might mention that if you desire to see yourself as others see you, and at the same distance as others would be when looking at you, always remember that when you face a full-length mirror, your reflection is twice the distance between you and the mirror. Therefore, you see yourself as other would see you if standing that distance away from you. To make things clearer; if you stand 10 feet away from your mirror, your reflection will be as it actually appears 20 feet away from you. Therefore, you see yourself as someone else would see you - 20 feet away. Naturally, in looking at your reflection, you endeavor to look your best. This is human nature. It is like being fitted for a suit of clothes. You have a tendency to stand erect, not mainly to help your tailor, but because you enjoy seeing yourself always at your best. Then when the clothes come from the tailor, they do not always fit you as perfectly as you expect them to, because unless you stand erect and assume your best posture, a few wrinkles in the material will develop. The same thing applies when studying your body in the mirror. If you always look at yourself at your best, you will have to be continually self-conscious when appearing before others, whether in a gymnasium costume or bathing suit, in order to look the same as you last saw yourself. Therefore, simply stand straight, but relaxed, when studying your body in the mirror, for this is how others will see you. If you are anything but relaxed at all times, not only will you develop considerable self-consciousness, but you will find it a very tedious and tiresome undertaking. The only thing you should be conscious of at all times is an erect posture. Therefore, it you will constantly assume this posture, so as to avoid a hollow chest and round shoulders, gradually you will form the habit of sitting, standing and walking erect at all times. It will even be difficult for you to assume anything except a proper position.